CITY of Plymouth athlete Doaa Shayea won two bronze medals at the England Athletics Under-17 and Under-15 Age Group Championships at Bedford. 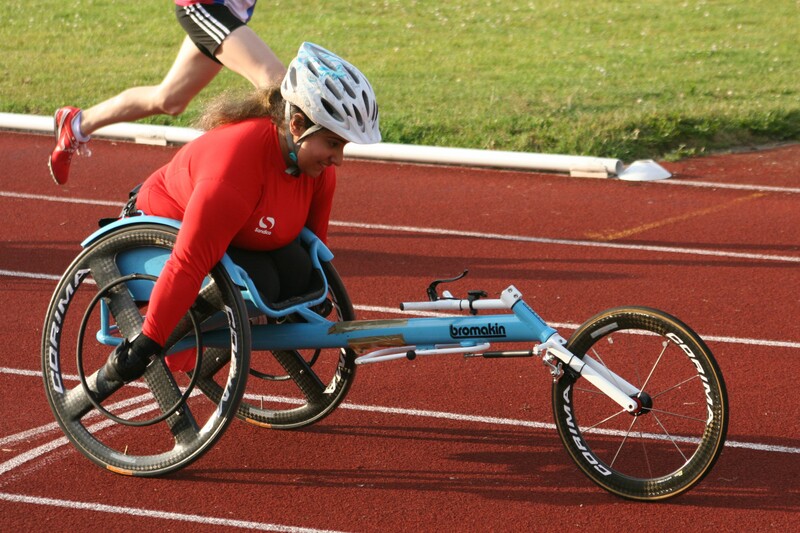 Shayea’s podium finishes came in the 100m and 200m women’s wheelchair races. The 17-year-old clocked 19.92 seconds in the 100m and 32.22 seconds for the 200m. In both events she was the first T54 competitor. Shayea also finished fourth in the 400m in a time of 1:16.27. Elsewhere, Tavistock’s Jenny Milburn reached the final of the under-15 girls’ 800m event. She clocked 2:18.91 in the heats and then 2:18.59 to finish eighth in the final. South Devon athlete Molly Canham came third in 2:09.42. Milburn’s team-mate Jade Kinsey just missed out on progressing out of the heats in the under-17 100m. She clocked 12.86 seconds to finish fourth in her race, with the top three progressing. Kinsey also clocked 43.42 seconds in the 300m, while fellow Tavistock athlete Josh Davies ran 40.15 seconds in the same event but in the boys’ under-15 category. There was disappointment for Erme Valley Harriers’ Sammie Harris in the under-15 long jump. Harris is ranked sixth in UK this season with a legal best of 5.45m but she could only manage 4.79m at Bedford to finish down the field. Tags: Doaa Shayea. Bookmark the permalink.